It seems the State of Public Emergency is fast losing its effectiveness, as on Monday night in Rose Heights, St. James, brazen gunmen unleashed a barrage of bullets at a well-known chef, killing him on the spot. And as shooting incidents continue to be on the rise, a man narrowly escaped death in the community of Green Pond, after being ambushed along the main road by men traveling in a car, who opened fire at him in broad daylight. He luckily only sustained injuries. The decomposing body of an unidentified man was also discovered in the Granville area on the weekend. These incidents come on the heels of last week’s murder of a farmer in Amity Hall district, even as the parish continues to be under the gaze of the security forces. The dead chef has been identified as 51-year-old Junior Raymond of Bay Route, Rose Heights. 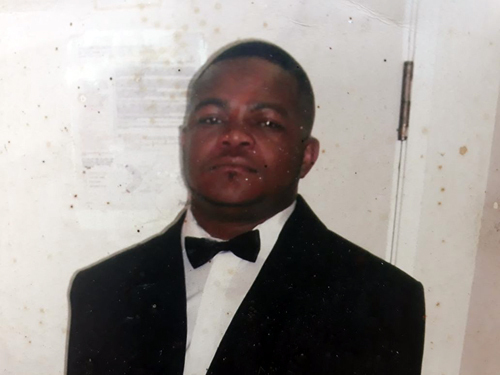 Raymond, who was employed to a popular restaurant in the Rose Heights area, was gunned down by unknown assailants. According to reports, the 51-year-old chef was on his way home when he was pounced upon and shot by armed hoodlums. The Western Mirror understands that Raymond was scheduled to attend a court hearing today, as he was the complainant in a case of wounding. Raymond, who was reportedly a diabetic, was allegedly attacked by men from his community who inflicted several cuts to his body, causing the injured chef to spend time recovering in hospital. The matter was reported to the police and it was in relation to that matter that he was due to appear in court today. A close relative of Raymond, who wished not to be named, said he was a very jovial man who was loved by all he came in contact with. The relative disclosed that his killing is really affecting family members, who are finding it difficult to come to terms with his murder. “He was so loved; never one to be involved in anything shady… such a pity his life was ended in such a manner,” the bereaved relative lamented. Meanwhile, the Amity Hall murder victim has been identified as 59-year-old Roy Hines, otherwise called ‘Fitz’. Detectives are combing for clues as to how Hines was shot and killed. Reports are that residents stumbled upon the body of Hines along the Sunderland main road last Thursday and summoned them. On their arrival, the body was discovered with gunshot wounds. The scene was processed and the body removed. In the meantime, as the bodies stack up, an unidentified male was found in a state of decomposition in a shack along the Pitfour main road last week, Tuesday, March 13. Reports are that about 8:30 a.m., residents walking along the road way encountered a foul odour and upon investigation, they discovered the body in a shack on the side of the road. The police were summoned and the scene processed before the body was removed to the morgue.